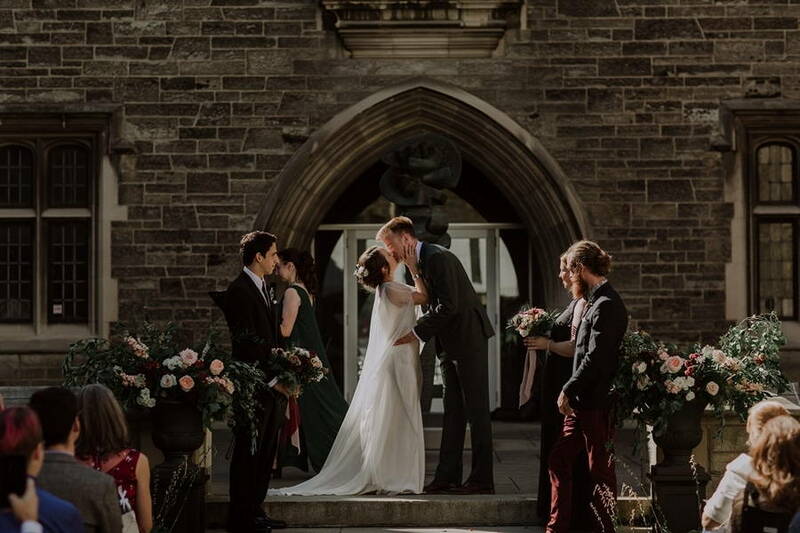 If you’re looking for a fairy-tale wedding, then look no further than Alex and Dylan’s wildly romantic big day. 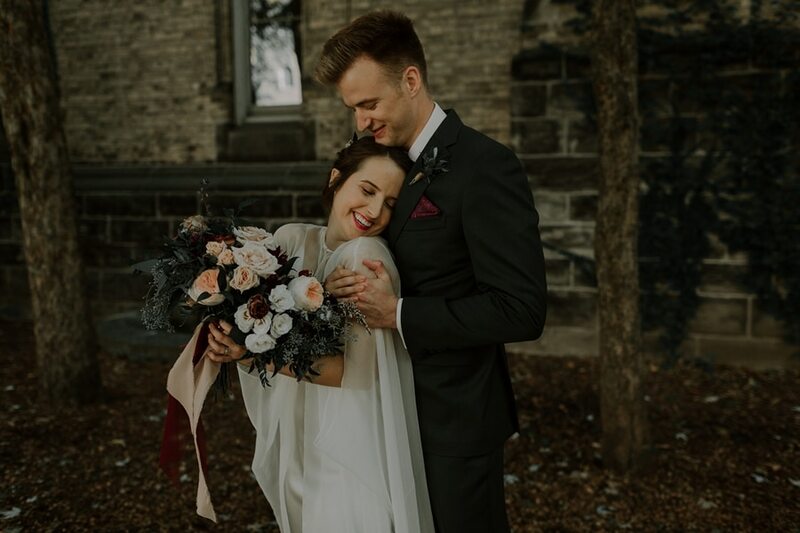 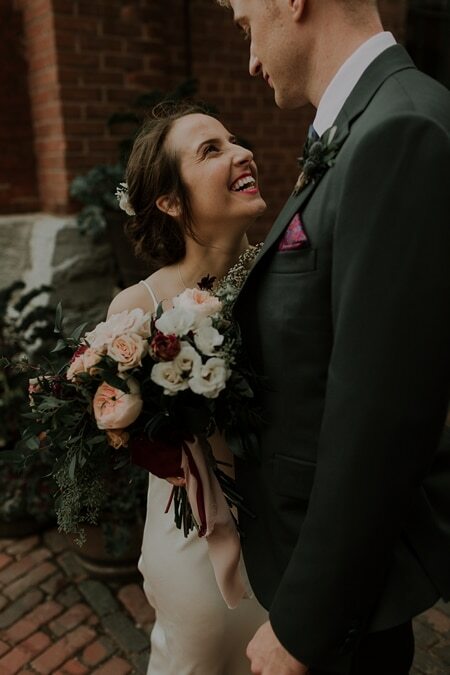 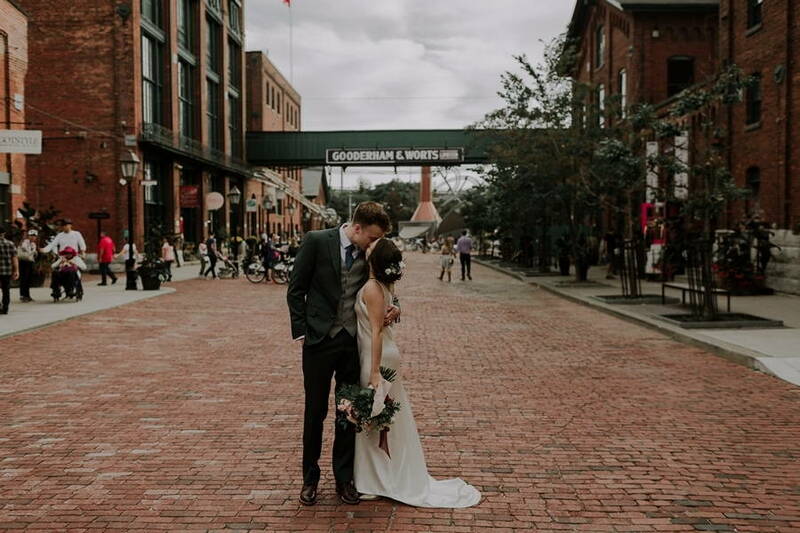 Blending old-world romance with some urban glam, the couple made the best of both worlds in Toronto. 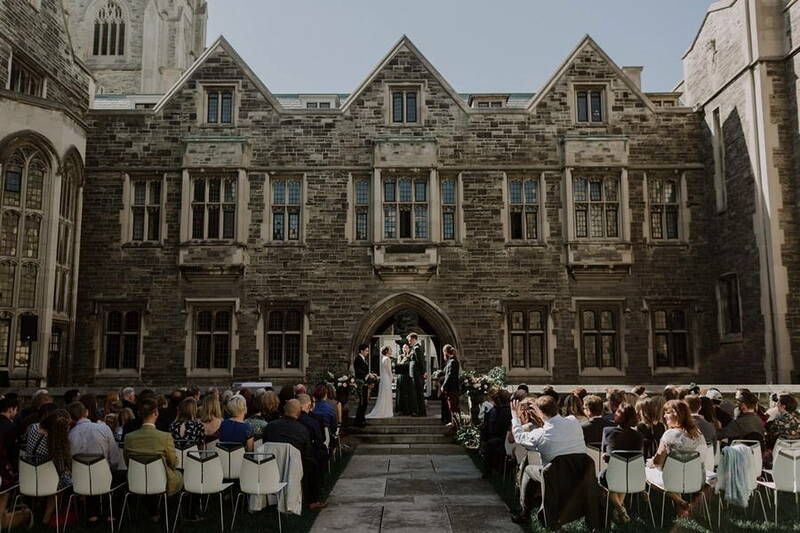 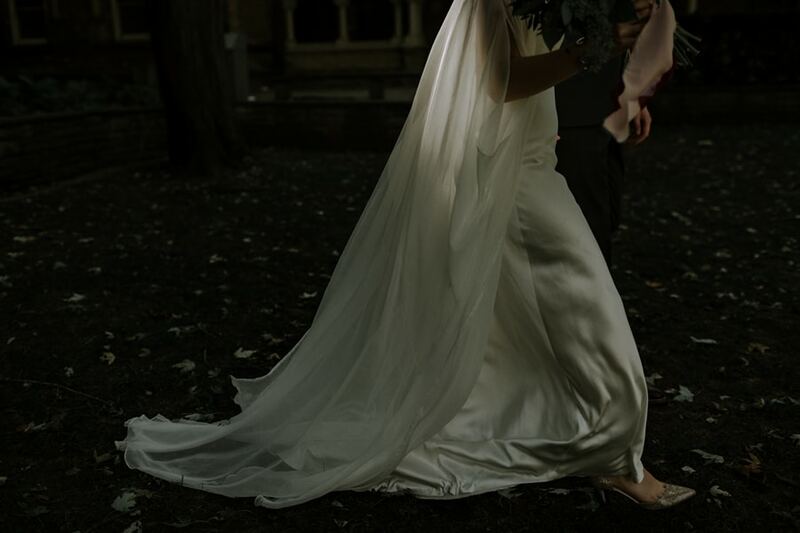 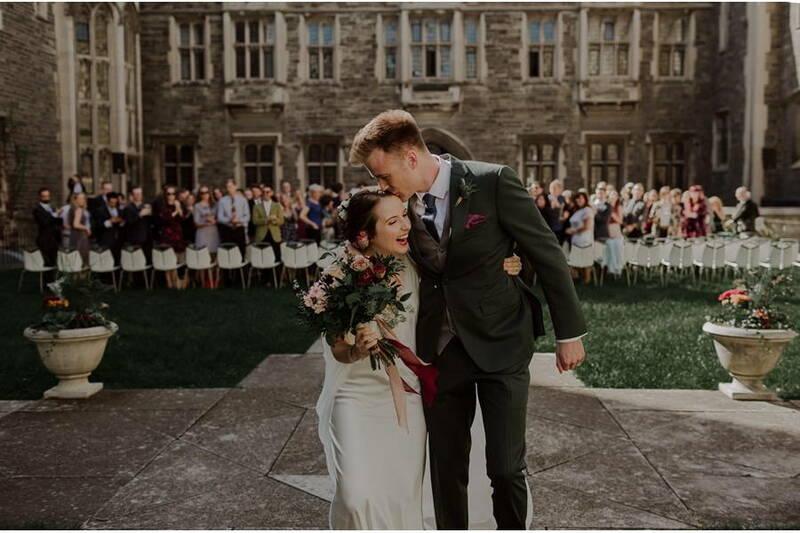 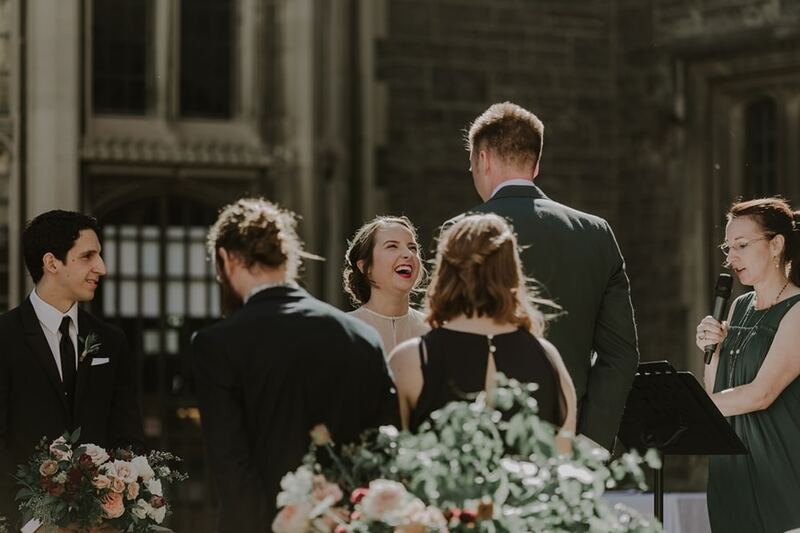 First, the couple had the most elegant outdoor ceremony at Hart House (where they met 8 years prior). 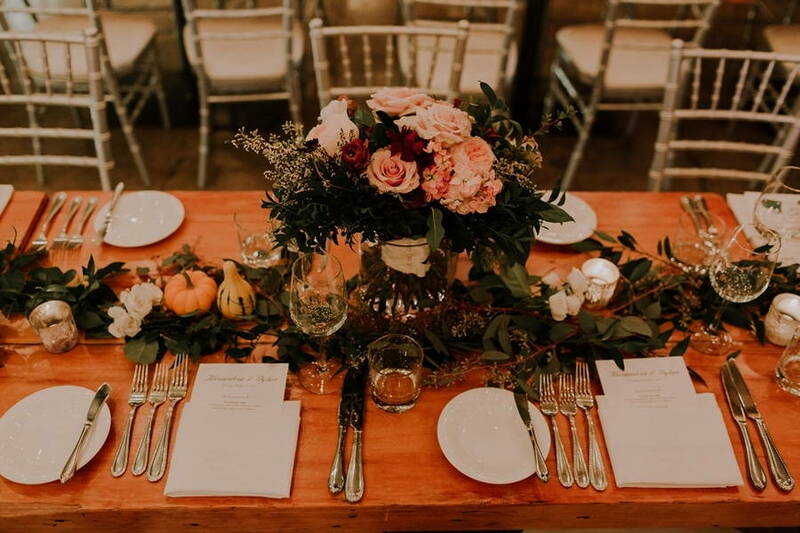 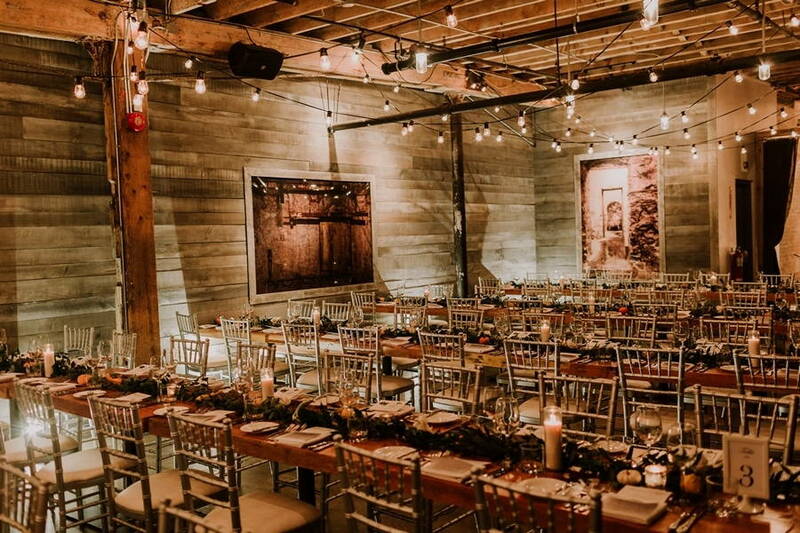 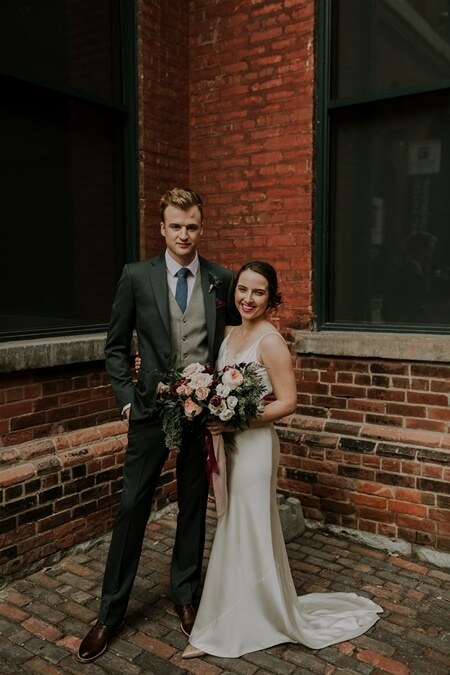 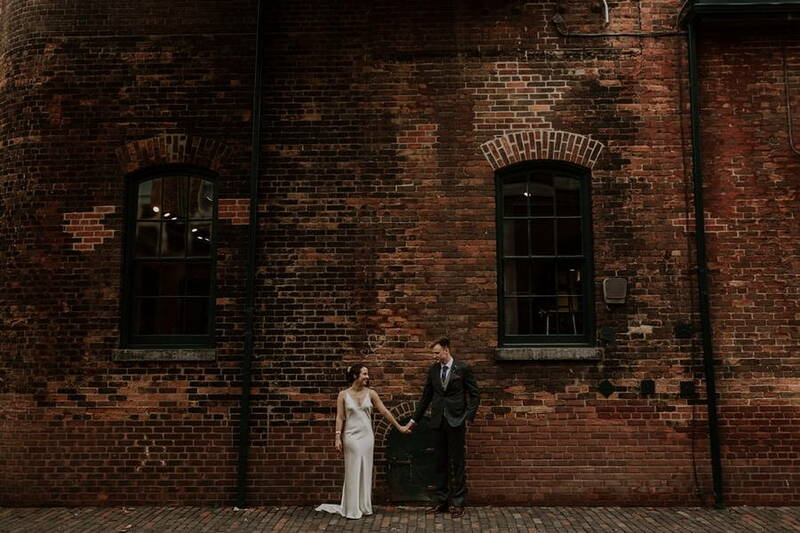 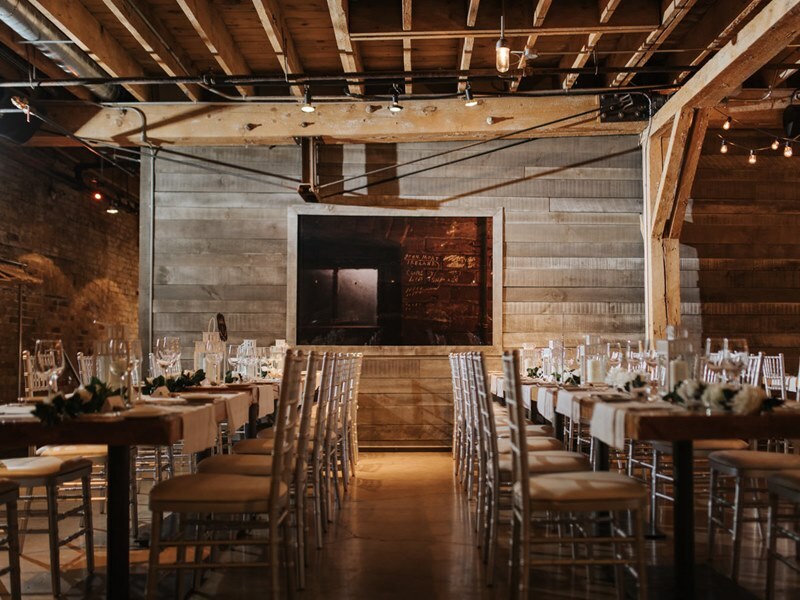 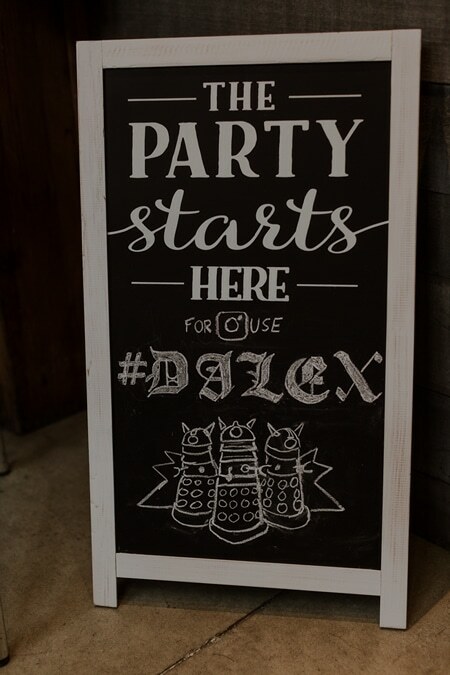 Then, they had a to-die-for reception at The Distillery District – Loft. 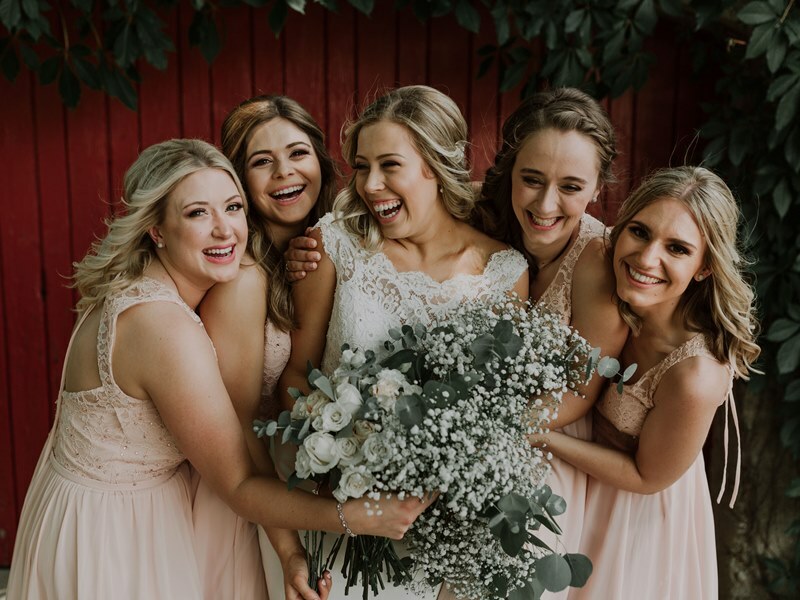 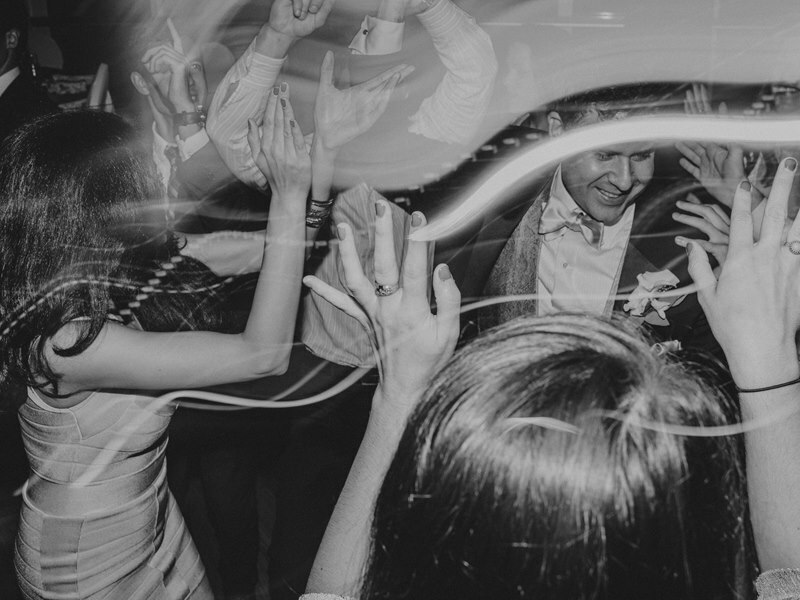 Captured by the talented Ally & Nicholas Photography, you don’t want to miss this one. 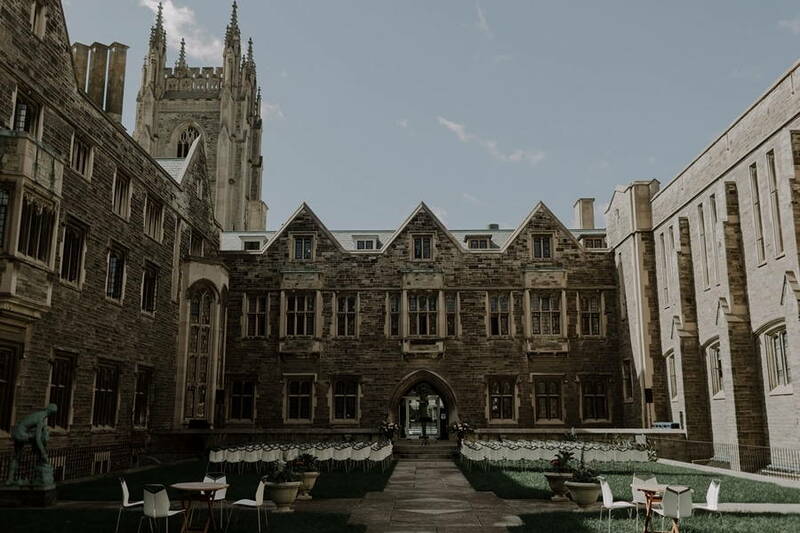 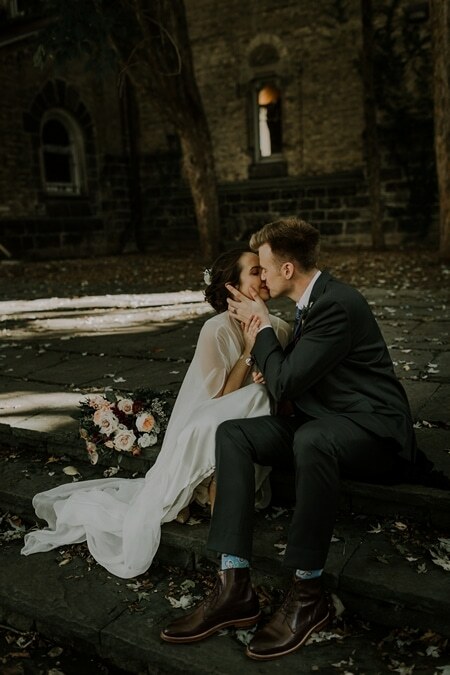 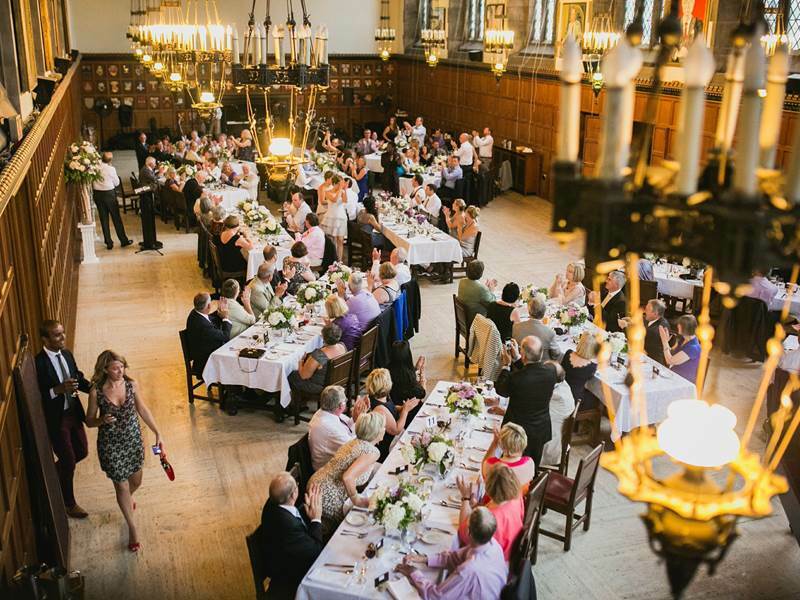 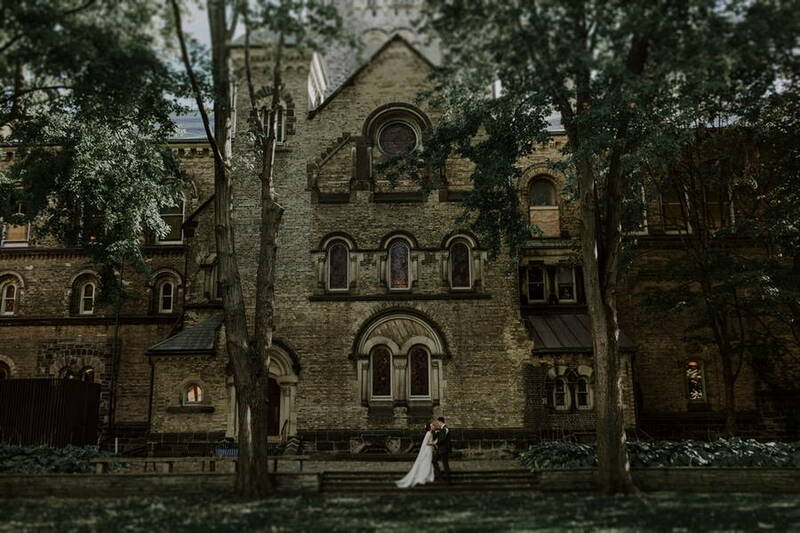 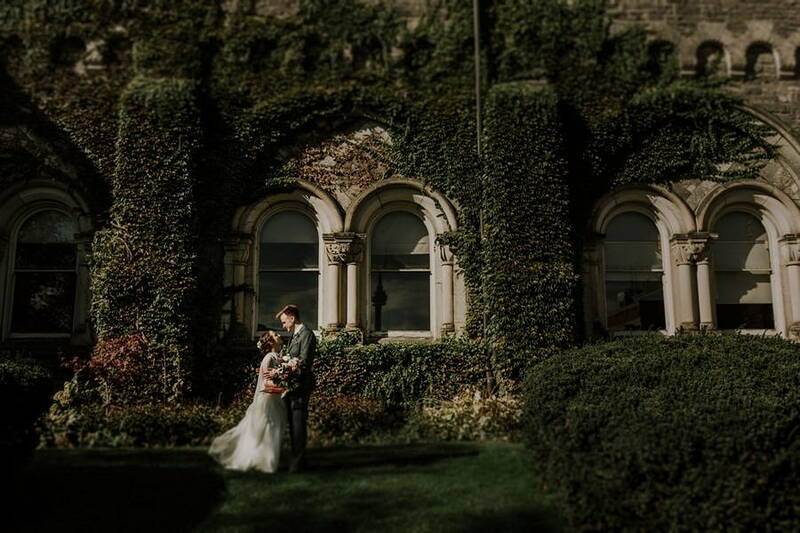 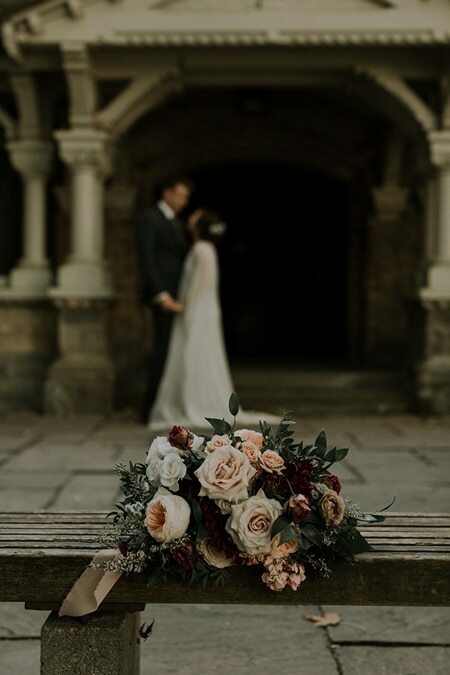 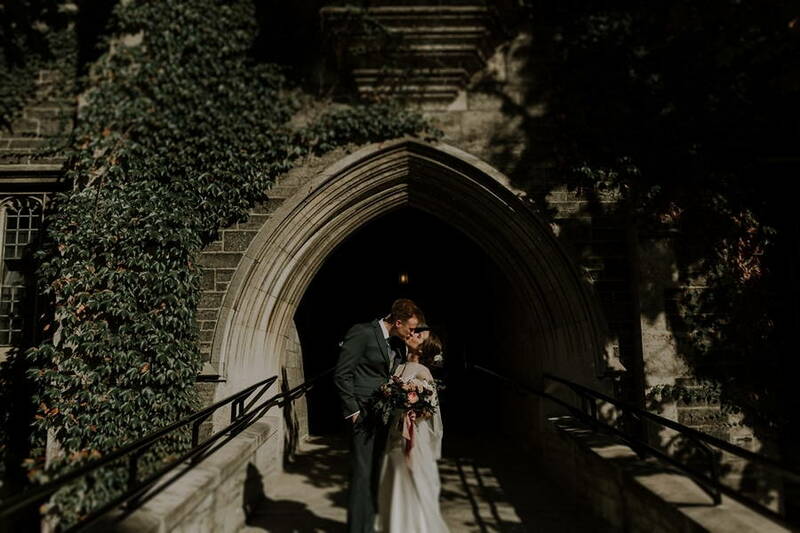 The stunning architecture at the U of T campus provided a “gothic romance” vibe to the couple’s gorgeous photo session. 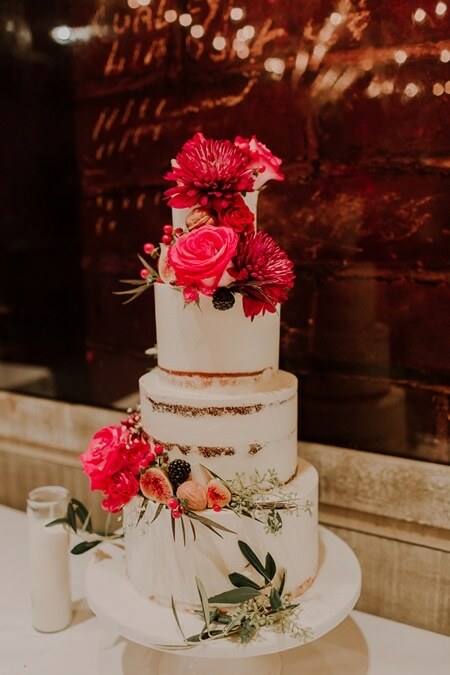 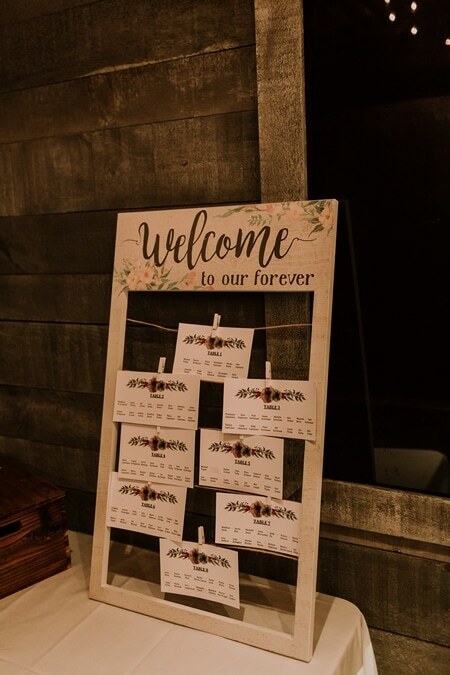 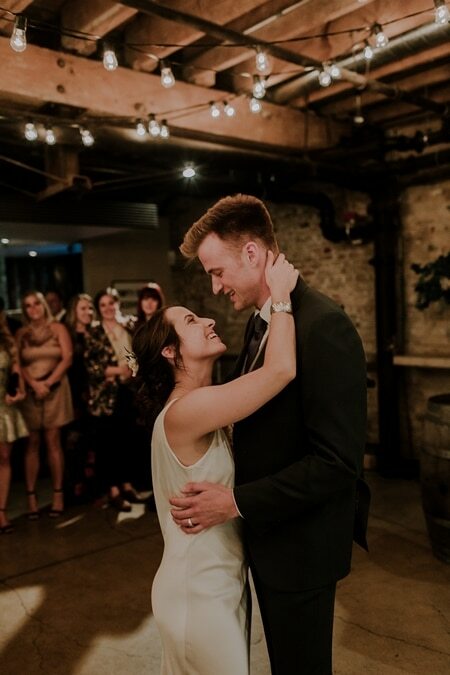 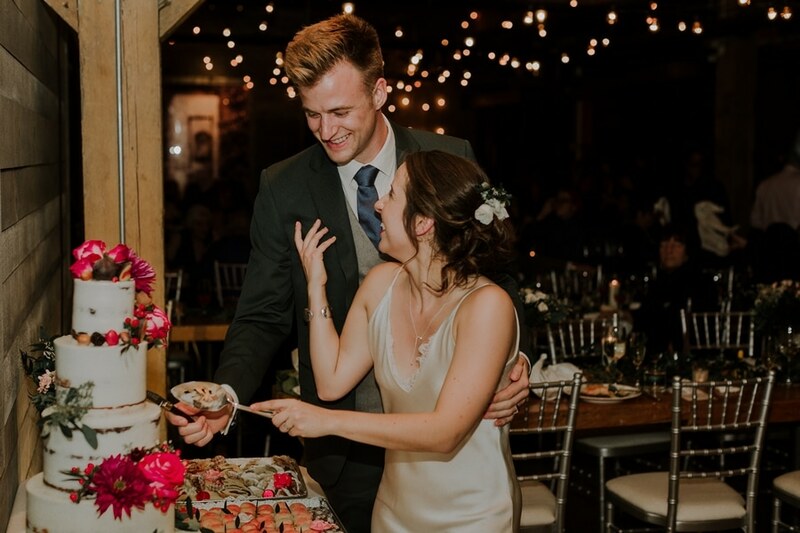 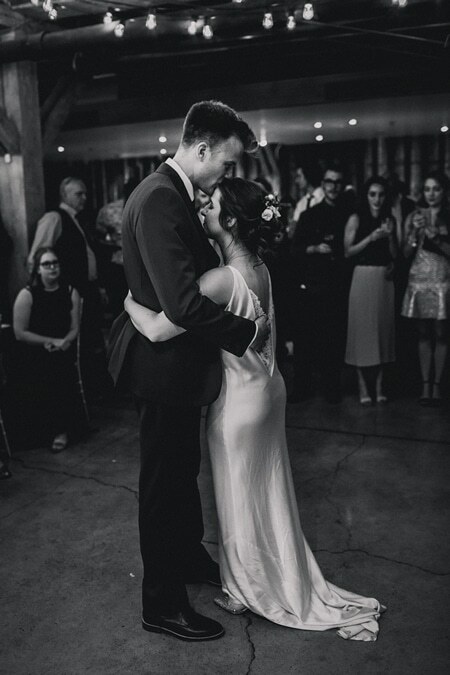 The newlyweds’ reception at The Loft made for one memorable night. 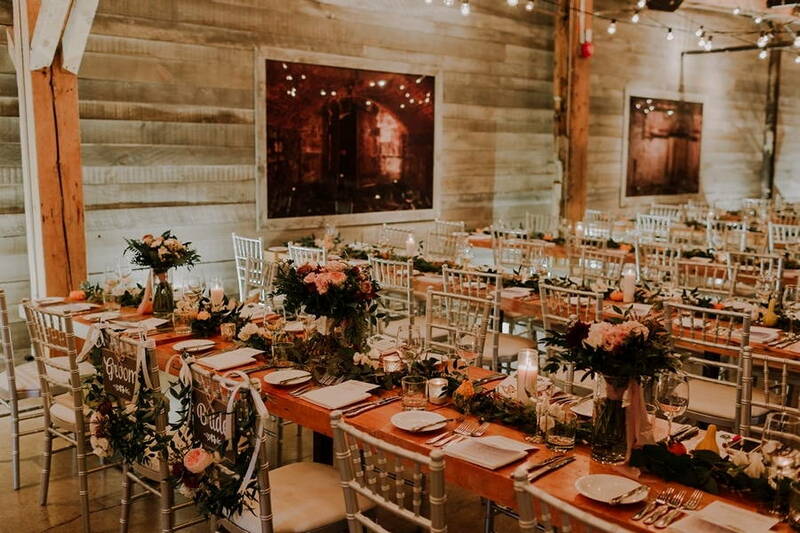 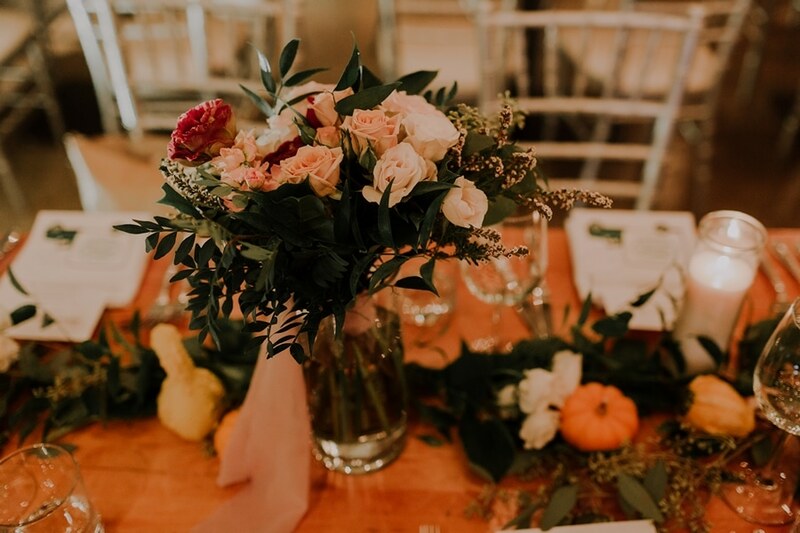 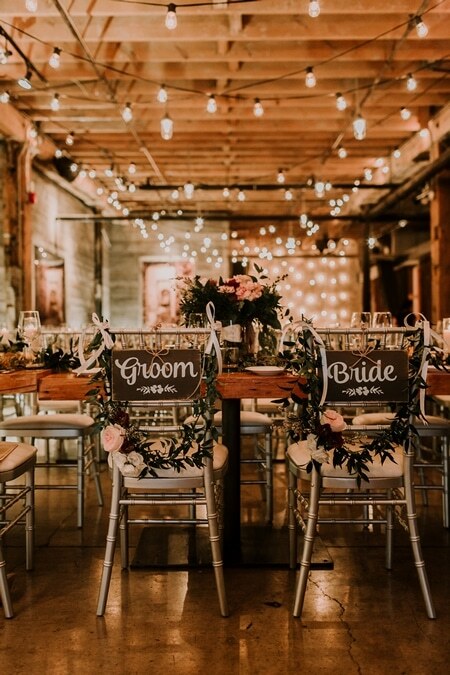 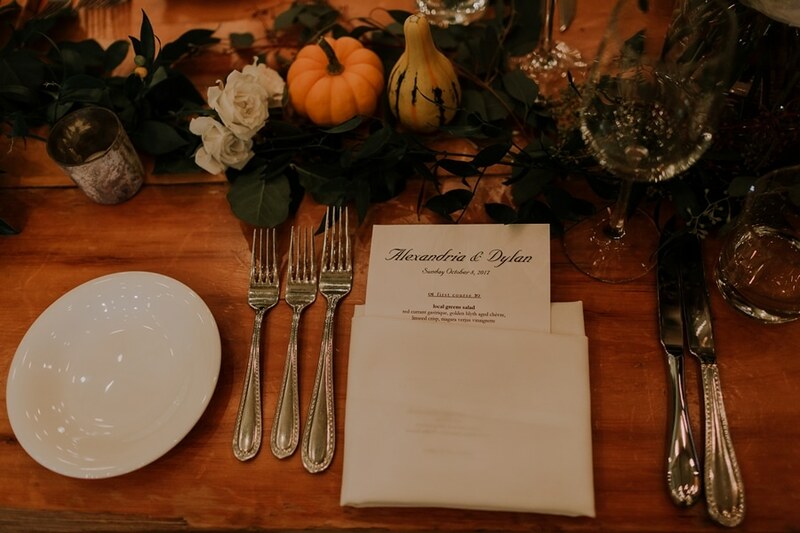 The industrial setting juxtaposed perfectly with delightful DIY touches, a clean neutral palette as well as the rustic decor and bright blooms from Rikki Marcone Events. 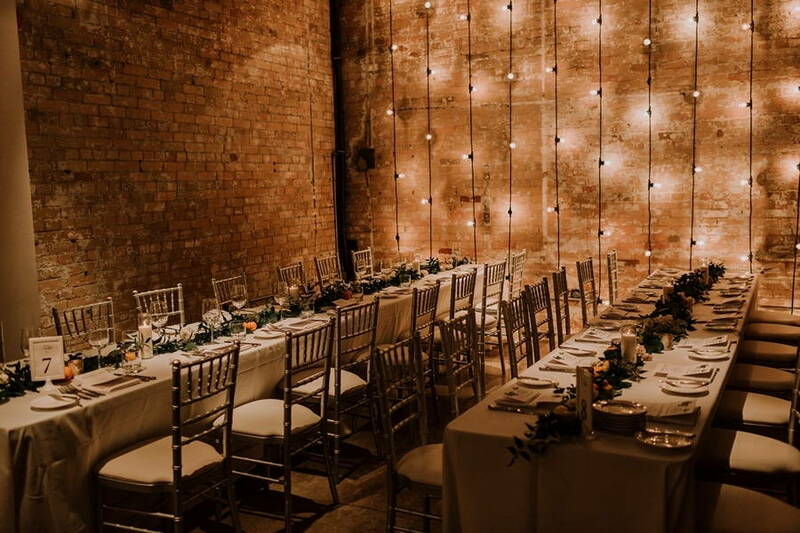 The string of lights was the magic touch for this extraordinary evening.